OPINION — People often send me texts and emails and ask me questions. Like ‘Where do you come up with your stories?’ and ‘What’s the average airspeed of an unladen swallow?’ and ‘What’s the next adventure you have planned?’ and ‘Why don’t you grow up?’ Fun questions. Actually, I really am going to try to shoot a bear with my longbow. I’ve wanted to do that for years, and I finally decided it’s time. So I booked a bear hunt at Backwoods Lodge in Mena, Arkansas for this October. There are so many bears in Mena they have a seat on the city council. So I’ve got a fair chance of getting a shot at one. We’ll see how it goes. Skewering a bear with a sharp stick is probably not the smartest thing to do, in terms of smart things to do. I got to thinking about it, and decided my current skill set was a little thin in places, if I was going to irritate a critter capable of eating me. To whit, I’m not much of a runner. Never have been. And I figure anyone who pokes a bear should be a good runner. Or at least a better runner than I am. Which isn’t saying much. So I decided I should work on that, but as you know if you’ve ever tried to get in shape, there are motivational issues. My wife had bought a used treadmill a few years ago, and I started trying to use that, but every time I started running on it I suddenly remembered something else I needed to do. Like watch TV, or take a nap. The last time I ran more than ten feet was when I was sixteen. Proverbs 28:1 says, ‘The wicked run when no one is chasing them.’ I’ve taken that pretty seriously. Obviously, I needed some motivation. So I decided to do something that would make me stick with it. I entered a Spartan Sprint. The Sprint is the shortest obstacle course race in the Spartan lineup, and the one I entered, at Nashville on Sept 22, is shorter than most Sprints. 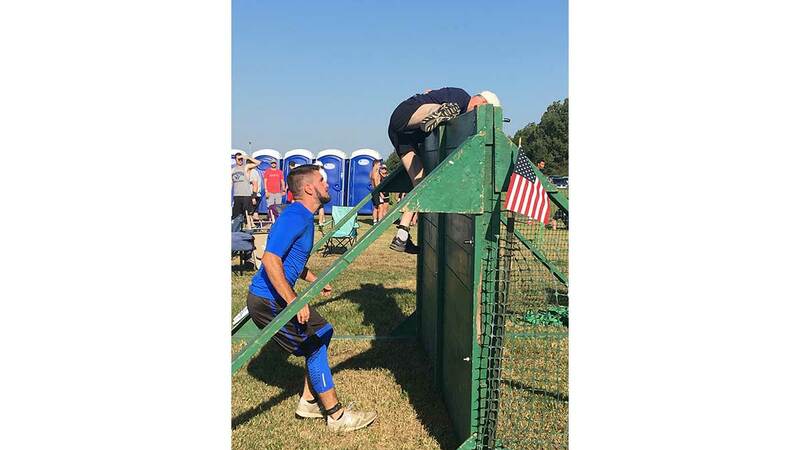 It’s 3.1 miles, with 20-23 obstacles. I figured, once I signed up for the race, I would suddenly become a good runner. It didn’t work out that way, for some reason. And then my friend, Keith English, talked me into entering another obstacle course race. Keith wanted me to run the Conquer the Gauntlet race in Little Rock on Sept 15 with him. I should’ve just said no. 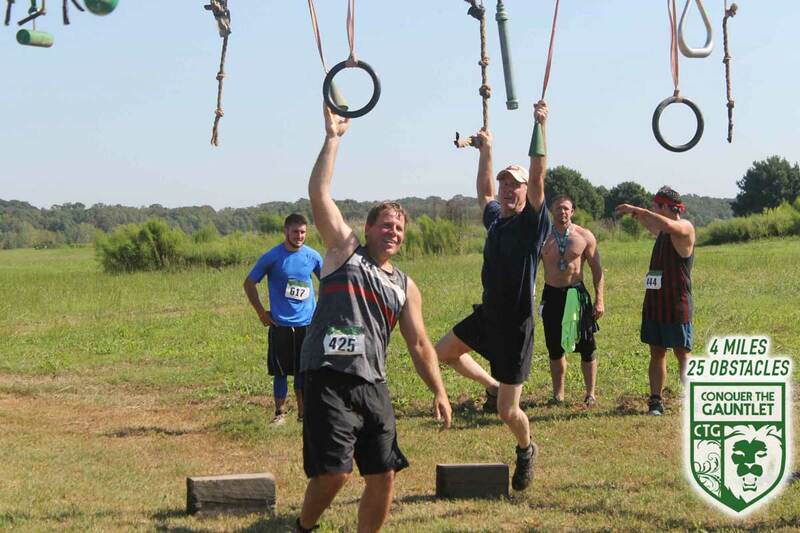 The Gauntlet is 4 miles with 25 obstacles. But Keith is persuasive, so against my better judgment, such as it is, I capitulated. In for a penny, in for 4 miles, I guess. Now, back in the old days, when Indians caught an enemy, they would sometimes make him run a gauntlet. The captive was stripped, and had to run between two groups of his captors lined up on either side, and each one would take a swipe at him with a fist or club or knife or something. Great fun, but not for the captive. So the gauntlet term didn’t do a lot to endear the race to me. The other popular meaning of the word is ‘glove.’ Which seems to be the definition the promoters chose, although it doesn’t make a lot of sense. Conquer the Gauntlet. Defeat the Glove. I figure I can whip a glove. Probably. In point of fact, the glove put up quite a fight. Four miles is no short haul for an old guy like me, but the obstacles were more trouble than the run. Climbing over walls, crawling under barbed wire, and fighting tigers ain’t easy. OK, there weren’t any tigers, but I wouldn’t’ve been surprised. They had just about everything else. There was a lot of mud and water and swinging from monkey bars. We had to climb ropes and carry sacks of dirt and move heavy objects unnecessarily. The whole thing was a lot of trouble. Keith and I ran with a few other guys, and did the group thing. We didn’t attempt to defeat the glove so much as just try to keep it from defeating us. And I think it went as well as could be expected, under the circumstances. I finished 300th out of 1291 overall, and 11th out of 43 in my age group, (55-59, otherwise known as People Who Should Know Better). Mostly I learned not to listen to Keith English . . .